This health series, which spans 7 topics on specific Wednesday evenings will commence from the 20th March 2019 with the final session being the 1st May 2019. 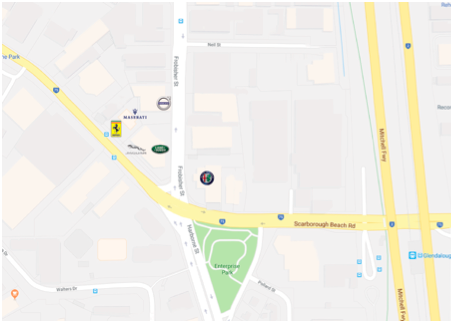 All sessions will be held at the Barbagallo Group showrooms representing different prestige cars associated with the event, with the final bonus session being held at Loftus Recreation Centre, Loftus Street & Vincent St in Leederville. Entry is via on-line ticketing sales which will go a long way to assisting our charity. There is ONE topic held per Wednesday with a total of seven presentations, all of which will be hosted from 7:00 pm to 8:00 pm on the nominated days. A significant proportion of the registration fees will be donated to our nominated charity, Cystic Fibrosis WA (CFWA), after operational costs. If you wish to make an additional donation directly to CFWA, please click here. $15 per person to attend one workshop. What better way to learn about the benefits of Heart Health, than over a glass of Red Wine as we expound the benefits of wine and explode the myths. This first in the series of seven sessions, covers the benefits of Red wine as understood by the ancients but often confused by modern medicine in the age where excess consumption overrides the benefits, presented by the wonderful vintners of Howard Park Wines. Heart Health is also about understanding how your heart works and the benefits of fitness and training. Join Ian Wee Sports Medicine Director for Perth Integrated Health in this clinical research journey where hundreds of men have benefited from his Biometric Medicine applications and knowledge in heart health. To cap off the evening is the practical application of cardio vascular fitness and what better way than to showcase the benefits of Coaching Zone which embraces all of the technology of Biometric Medicine. Coaching Zone is a fitness program that combines group personal training and coaching. We use the latest technology and techniques in a 45-minute workout, followed by 15 minutes of coaching to review your progress and educate you on a range of lifestyle factors that can accelerate your results. Time: 650 pm for 700 pm to 800 pm. The prancing horse from the famed Italian stable of Ferrari is the best way to describe the importance of Performance Enhancement for Men. Performance Enhancement has many faces and what better way to explain and educate men is none other than Dr Peter Nathan. Peter comes with amazing credentials as past Chairman and President for Sports Medicine Australia with post graduate qualifications in Sports Medicine and Fellowship in this discipline. He is down to earth with his approach to everyday care with his qualification also as a General Practitioner as well as Emergency Medicine and Orthopedics at SJOG Murdoch. He will present on the current acceptable trends of Performance Enhancement in Sports Medicine. Peter will be followed by an amazing presentation about understanding Testicular Health which most men will appreciate and understand! Duncan Hardy who is a well known Sonographer will also talk on Testicular Cancer Awareness and Health. As well as what they are doing through the DT38 Foundation to reduce the incident rate of Testicular Cancer. Andrew Ng is the important third wing of this presentation as he brings to you the reality of his journey from injury to fitness and health. Andrew is well versed and well placed authority on this being the State Manager for Fitness and Health for Belgravia Leisure WA. He is the Asian version of 'The Rock' in presence charisma and ability! The feline sleek lines of the Jaguar vehicle portray a powerful presence which shouts fitness and health. An excellent choice to represent the cutting edge understanding of Fitness for Men in the 21st century. This practical workshop has three components namely the latest applications for Fitness in Sports Medicine followed by a ground breaking session on Body Balance for Men presented by the fitness professionals from Belgravia Leisure. Body Balance is almost always related to your feet – stability, strength and balance. This introductory taster into the ever popular BODYBALANCE™ fitness program will improve your mind, body and your life. Breathing control is a part of all the exercises while you strengthen your entire body. The timeless presence and prestige of the Italian marque Maserati is instantly recognisable to all and thus the perfect theme to drive the essence and importance of Endurance in Health and Fitness. This session showcases Nathan Charles, our international Australian Rugby Union player, who himself lives with Cystic Fibrosis (CF) and is believed to be one of the only people with CF in the world to continue playing contact sport at such as successful level. Nathan has a story of strength, courage and endurance which will challenge our senses and our perception and he will serve as a role model to men looking for longevity through Endurance in their Sport, Fitness and Health. Then the following segment will cover the importance of Endurance in understanding Neuromuscular Change where function and fitness is maintained and how techniques can be applied in clinical and sports medicine to make a long term difference - in short Endurance in Health Care. This is our BONUS segment is for all men interested in the innovation of what Coaching Zone brings. It embraces the techniques and technology espoused by our clinical and sports medicine team in a training manner which builds on your strength and conditioning and cardiovascular self. Coaching Zone is a fitness program that combines group personal training and coaching. We use the latest technology and techniques in a 45-minute workout, followed by 15 minutes of coaching to review your progress and educate you on a range of lifestyle factors that can accelerate your results. Get fit, see results, have fun! Register for this session and if places run out - NO problems! We will contact you for another session within 4 weeks of the completion of the Barbagallo Men's Health Series. The importance of Fathers and the role that they play with the next generation is often understated and misunderstood. Engaging Fathers to be better parents for their children and also providing them with the skills to do so is part of this important quest as research has already proven the positive roles that Fathers play in this. This workshop is presented non other than Wayne Bradshaw who is the Father First for The Fathering Project whose organisation is making amazing differences to many children and their Dads in schools. The Fathering Project has been granted the mandate of expanding its program to schools throughout Australia and this workshop is one of the many ways which helps with its good work in the community. Cycling Biomechanics and Physiology of the sport is much needed as the overall numbers for this sport continue to rise over the years. With many people being late adopters of the sport, often after a period of sedentary lifestyle or a move from other sports, there is often little understood about the complexity of cycling biomechanics - which is one of the few sports where the person is attached to the machine. Then there are the human factors of physiology that can also make a difference in this day and age in sports medicine where training longer and harder is not smarter. Join Ian Wee the Medical Classifier for Cycling Australia, who is also The Bike Ergonomist and a Cycling Coach, through this one hour journey that will challenge your understanding and add value to your sport. Ian is also Sports Medicine Director for Perth Integrated Health Group of Companies and is instrumental in the design and implementation of many Cycling events in WA, which is designed with sports medicine factorials for the cyclists in mind. Matt Fulton the CEO for Westcycle will also present on the safety initiatives of cycling and the projects that make Perth a better place to cycle for our health and wellness.